Colombia is a mid-sized pharmaceutical market in Latin America (ranking fourth in terms of sales volume in 2017, after Brazil, Mexico and Argentina), with a large and growing population, a universal but underfunded social security health insurance system, and a small but rapidly developing private health insurance system. The segment with the highest growth opportunities is patented drugs, due to cultural preferences and an ambivalent government policy towards promoting generic drugs. Moreover, the local pharmaceutical industry is small and largely focused on the production of generics, which has resulted in a chronic trade deficit in drugs. In 2017, the trade deficit in pharmaceuticals reached USD 1.8bn, up 9.4% y/y, as Colombia met 64.1% of its domestic demand with imported drugs. 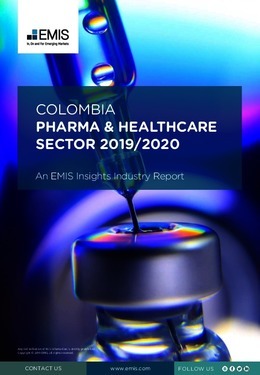 This report provides a complete and detailed analysis of the healthcare and pharmaceutical sector for Colombia . EMIS Insights presents in-depth business intelligence in a standard format across countries and regions, providing a balanced mix between analysis and data.